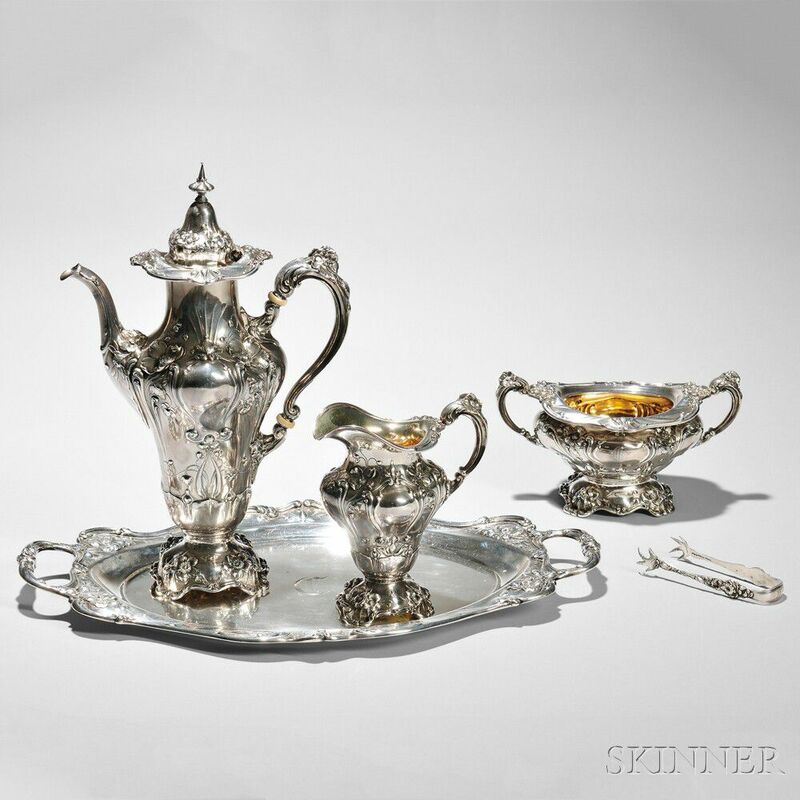 Five-piece Reed & Barton Sterling Silver Coffee Service, Massachusetts, c. 1900, pattern no. 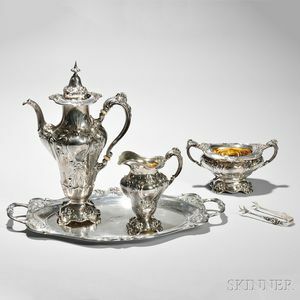 500A, in the Art Nouveau style with elongated bodies decorated with various flowers centering a monogrammed cartouche, coffeepot, creamer, sugar bowl, tray and pair of tongs, coffeepot ht. 12, tray lg. handle to handle 15 3/4 in., approx. 62.0 troy oz. Tip of finial of coffeepot bent slightly, creamer with shallow dent below spout. Otherwise, in good overall condition, with only very minor surface wear (particularly to tray surface).